NAPA, Calif. (October 6, 2010) – Fresh new offerings make it easy to experience the art of living well in the Napa Valley, especially during the celebrated ‘crush’ and winter travel seasons. As North America’s only Great Wine Capital of the World, the Napa Valley is home to a welcoming community wholly dedicated to sharing its natural beauty, wine, cuisine, arts, culture, and wellness treasures in exciting new ways. 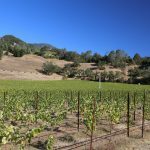 These new options come at a time of increased interest in the Napa Valley, according to new research that reveals nearly five in ten American travelers are extremely interested in visiting the region in the next two years. * Whether guests are inspired by sipping or savoring, indulging or invigorating, a gracious Napa Valley experience is never out of reach. 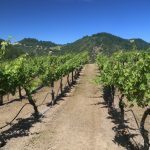 To plan an escape to America’s legendary Napa Valley, visit www.LegendaryNapaValley.com for details on accommodations, wine tastings and tours, restaurants, spas and regional activities. October 9: At the Paraduxx Winery Harvest Celebration, guests can taste new wines, see the new art labels, and enjoy culinary fare from chef Cindy Pawlcyn’s acclaimed Napa Valley restaurants: Mustard’s Grill (CLOSED – reopened as BRASSICA NV), Go Fish and Cindy’s Backstreet Kitchen. For information, visit www.paraduxx.com . October 16: The St. Helena Hometown Harvest Festival and Wine Auction starts with the legendary pet parade, a kids carnival and ‘fun runs’ around the town, and is followed by an afternoon street fair that includes food booths, wine pouring stations, live music, craft booths, a silent wine auction, and more. October 23 & 24: Music lovers will love the Calistoga Downtown Blues Festival, featuring some of the best of the North Bay blues bands and wine tasting at downtown Calistoga locations and at participating vineyards. target=”_blank”>www.CalistogaVisitors.com/music . 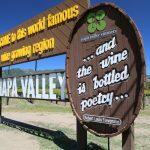 Through October: The Napa Valley Museum has introduced a new exhibit entitled ‘Art & Wine: Expressions of an Industry.’ The exhibit provides a look at the artwork, packaging and presentation of Napa Valley’s wineries. Through October, Inglenook Estate in Rutherford offers a sit-down lunch paired with estate wines every Saturday at 1:00 p.m. This experience is limited to 10 guests in the small Daniels Cellar. Get a bird’s eye view of harvest activity from the new Il Passito Room at Castello di Amorosa, with reserve wine tasting and a wine club lounge/outdoor patio. For information, visit www.castellodiamorosa.com . The late fall and winter months in the Napa Valley set a quieter, more intimate scene that inspires visitors to linger a little longer as they enjoy the beauty of the emerald-green hills, brilliant yellow wild mustard fields in bloom, and a slower pace. December 10-12: The American Truffle Company introduces the inaugural Napa Truffle Festival, featuring a unique gathering of leading truffle cultivation experts and scientists, along with internationally renowned Michelin Star chefs and special guests from the food and wine world. The focus of the Festival is primarily black truffles, which will be discussed, examined, probed, prepared, demonstrated, and finally paired with wines and feasted upon. Events include organized dinners at select Napa restaurants, cultivation and culinary seminars, cooking classes, a truffle orchard tour excursion, Michelin Star Truffle Dinner and a Champagne Truffle Brunch, followed by an Epicurean Marketplace. For information, visit www.napatrufflefestival.com . 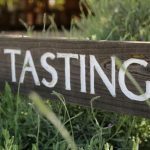 HALL Wines in St. Helena is rolling out three new experiences for fall and winter, including a Sustainable Sensory Food & Wine Experience, where visitors can sample fruits and vegetables directly from Hall’s organic garden, and four of their exclusive small production artisan wines. A new Cheese & Wine Pairing is offered, and an Appellation Tasting in which guests can compare a selection of rare small production wines from six of the Napa Valley’s appellations. For information, visit www.hallwines.com/hall-st-helena . Three new experiences are also available to guests of Beaulieu Vineyard including: a Cabernet Club Experience ($25/tasting) that offers guests an opportunity to be a Club Member for a day; a Historic Tour & Barrel Tasting ($40/tasting) that provides tours of the most historic part of the winery built in 1885; and a Retrospective Reserve Tasting ($50/tasting) of vintage Georges de Latour Private Reserve Cabernet Sauvignon – one of the most collected American Cabernets. For more information, visit www.bvwines.com . AVIA Napa has unveiled a new lobby wine lounge and coffee bar called The Riddling Rack, which offers coffee concoctions in the morning and local and rare wines, micro-brew beers, and classic and contemporary cocktails in the evenings, paired with wine country comfort foods. Throughout the next year, visitors will be able to experience the new Napa ARTwalk program, a collection of ten new sculptures on display throughout downtown Napa, all with the theme of ‘Celebrating the Napa River.’ Brochures with maps are available throughout the city and guests can enjoy a self-guided audio tour to hear more about each sculpture from the artist. .
A pantheon of popular new restaurants opened in the Napa Valley this year, including Morimoto Napa ( www.morimotonapa.com ) by Iron Chef Masaharu Morimoto, which offers the finest in sustainable, seasonal, ocean-fresh seafood from acclaimed Chef Stephen Barber. Soon to join the line-up is Chef Tyler Florence’s Rotisserie & Wine Restaurant, which will showcase local and sustainably raised meats, as well as menu offerings that highlight other regional and seasonal fare. Auberge du Soleil has new offerings rolling through the Restaurant, including a new Champagne Cart with nightly canap selections and a delectable Madeira & Candy Cart laden with sweets and confections. All sweet treats are handmade by Executive Pastry Chef Paul Lemieux. For information, visit www.aubergedusoleil.com . Guests can also explore and enjoy food and wine in new ways. For example, a new Gourmet Napa Food, Wine & History Tour allows guests to explore revitalized downtown Napa with fellow foodies. Participants learn about the history of the riverfront town, where celebrity chefs intermingle with organic farmers and boutique winemakers, beginning at Oxbow Public Market with a seasonal bounty of California specialty foods and produce. 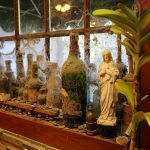 The tour then crosses the Napa River and visits 19th century historic buildings that weathered Prohibition to showcase the latest trends in California food and wine. And the Culinary Institute of America at Greystone has added new experiences for travelers to enjoy and appreciate culinary education, sustainable dining and more, including a new Educational Menu that highlights a “Did You Know?” feature defining a culinary term or ingredient, and a corresponding recipe guests can take home along with recommended wine pairings. As an addition to their new Flavor Bar, the CIA has launched the first Oleoteca Villa Campestri in the United States, which features super premium olive oils from California, Italy, Spain and Greece in an “Olive to Live” tasting flight. A Green Plate Special allows guests to enjoy sustainable culinary inspiration directly from regional waters, farms, and artisan food producers. Cooking demonstrations provide fun educational experiences this fall and winter with new seasonal fare featured each month, including themes like ‘October Fest Napa Valley Style.’ Demonstrations include Housemade Bierwurst with Napa Valley Mustard and Strong Ale Pumpkin Spiced Cake with Cream Cheese Frosting. The Napa Valley is home to the founders of America’s fine wine industry – legendary entrepreneurs who showed the world that the art of winemaking had crossed continents – and is prized for its natural beauty, phenomenal culinary scene, world-class hotel accommodations, robust arts community, and one-of-a-kind wellness experiences including the region’s famed spas, mud baths and natural geo-thermal springs. 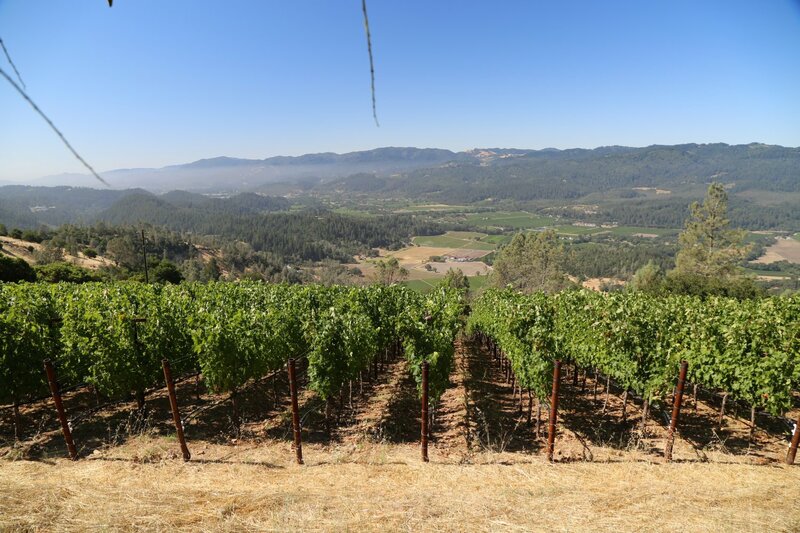 The word Napa means “land of plenty” in the language of its first known inhabitants, the Wappo Indians, and the Valley itself is one of the most precious agricultural preserves on earth – a place that moves in perfect synchrony with the seasons. The area was voted the World’s #1 Food & Wine Destination in the recent 2010 TripAdvisor’ Travelers’ Choice’ Awards, and is internationally recognized as one of only nine “Great Wine Capitals.” Visit www.LegendaryNapaValley.com for more information or to download the new Visit Napa Valley iPhone App and join The Napa Valley community on Facebook and YouTube.